Are You Offering the Gift of Avon? Can you place an order/book a party for me? The gift of value ~ Our regular prices are better than many comparable products, AND we have 100s of products on sale every campaign. The gift of convenience ~ we save our clients time and hassle of going to the store by getting their items delivered right to their door. The gift of personal service ~ when you go to the store how often do you find a sales person or clerk who really takes the time to get to know you? One who really cares about helping you find the right product for your need? The gift of worry free buying ~ with our satisfaction guarantee customers have 90 days to return a product they are not happy with. The gift of opportunity ~ What does your Avon business mean to you? Is it flexibility to work around your family schedule or other obligations? Is it access to your favorite products at a discount? Is it being able to meet other women and have fun while you're working? What other "job" allows you to share that gift? When you help someone else start their own business you are giving them the gift of an increased income, flexibility, independence and friendships. Share in the comments here or on our Facebook group about a time that you shared the gift of Avon. To view the entire Avon Tips for New Representative Series click here. So far in your business you have likely been focusing on building your customer base and increasing your sales each campaign, but have you taken advantage of the 2nd way to earn? Advanced Leadership is Avon's way of rewarding representatives for helping others to build Avon businesses of their own. With Advanced Leadership you can build a bigger business with a more solid income than just sales alone. Everything is better with a friend. Your Advanced Leadership journey begins with referring a friend. Share your love of selling as a Promoter and earn bonuses for recruiting new representatives and helping them place their first order. 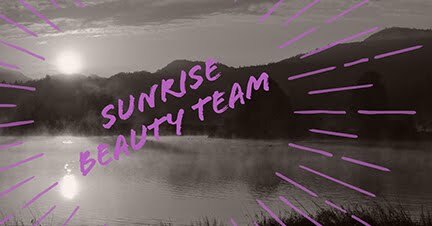 Continue sharing the opportunity to start an Avon business with your friends, customers and new contacts. Ambassadors teach their team how to sell and earn leadership bonuses each campaign based on their team's sales. Leaders and Executive Leaders Train others how to build and develop strong teams and earn higher bonuses. Watch the Video above for an over view of the Advanced Leadership program by Head of U.S. Sales Leadership, Donna Miles, then contact me or your Upline today to start your leadership journey. *To view current incentive programs and complete rules visit the sales leadership tab on youravon.com then click on Advanced Leadership Program and Leadership Incentives in the menu on the left. Note: When you click the link you will be prompted to sign into Dropbox, if you are not a Dropbox user, simply click no and you will be able to view and download the file. What questions do you have about this or any other aspect of your Avon business? I'm always happy to hear from you. Not and Avon Representative yet? Join our team today! Open your own Avon account to save a minimum of 20% on orders of $50 or more. Share Avon with others and earn 20-50% on products you sell. Contact me for more details or sign up today here. This week the featured training is actually a series of training. Belinda Ellsworth is a direct sales speaker and trainer and she has put together a free training series with wonderful bite size training each week called Direct Selling Now. January focused on goal setting and I especially recommend weeks 3 and 4. Week 3 is a 15 minute video on the Direct Selling Now Calendar Challenge. It ties in beautifully with our last Meeting in Your Inbox on shaping your calendar to reflect what's most important in business and in life. It even includes templates to help you get started. Week 4 is also a video, and a little longer at 35 minutes. It covers ways to set goals and stay consistent on Facebook. You may need to sign up for Direct Selling Now to access the training, but it is free and you only need to supply name and email address so they can send you the links to each week's training. Check it out and then hop on over to the team's Facebook group to share what you learned and how you are using it in your business.